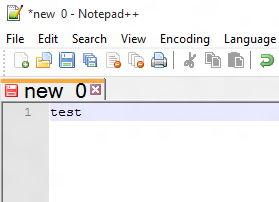 Just like the title says, I'm trying to change the font size in Notepad++ to what it should be. I don't know why it's so huge. You can check out the "Reduce" option in Settings > Preferences > General > Tab Bar (section). In Notepad++ (6.5) the size setting for tab labels is in Settings > Preferences > Tab Settings, although this appears to be a setting for formatting within documents. Hopefully one of those settings will help. 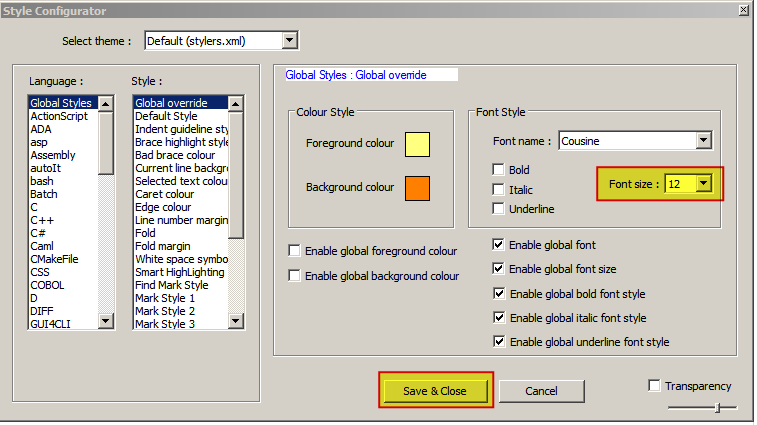 You can also change the size of font in Notepad++ by holding Ctrl + scroll with mouse wheel. Not the answer you're looking for? Browse other questions tagged fonts notepad++ or ask your own question. How do I change the font in an Evernote note to a custom size? notepad++: how to change the font setting (color, size…) of links?